Ashleigh began practicing yoga in 2010 while living in Toronto, Canada. She was initially drawn to yoga for the relaxation of mind and body and as a complement to running. She continued to practice yoga during the first half of her pregnancy in 2011 before moving to Chile with her husband. In 2013, she moved to Fairbanks and began practicing yoga again when the doors of Trax Yoga opened. Around this time, she became a long distance runner, and really saw the benefits that yoga provided both physically and mentally. Her interest in yoga continued and she was excited to take the next step to share her passion of yoga with others through teaching. 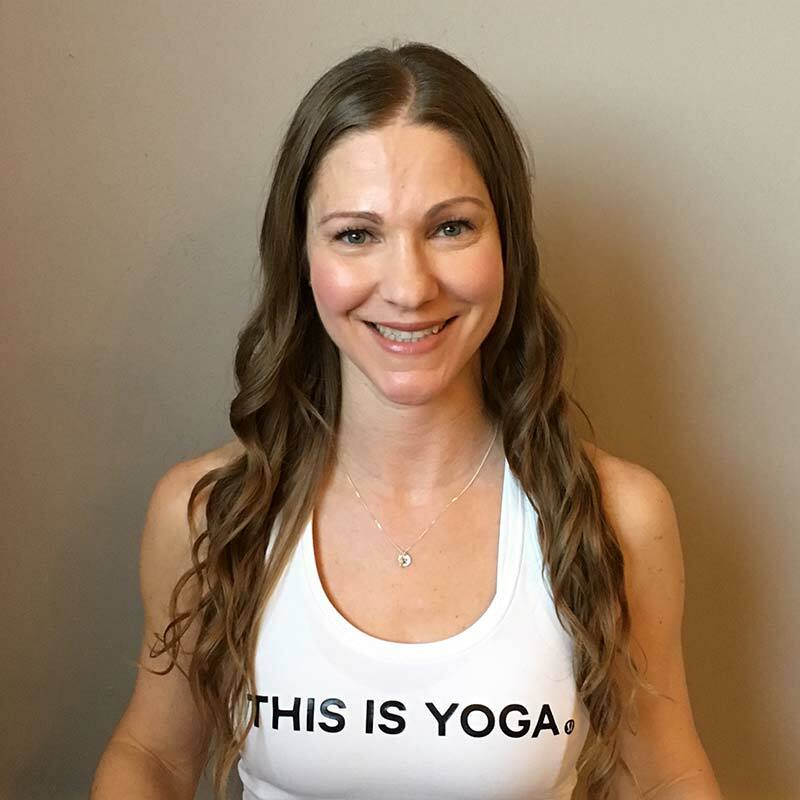 Ashleigh graduated from the 200 hour Trax Yoga Vinyasa Teacher Training School in February 2019, and is a registered yoga teacher through Yoga Alliance. She strives to be creative in her sequencing coupled with attention to detail, allowing students to explore and develop their own practice. When she is not practicing yoga, she enjoys spending time with her husband, daughter and cats, and enjoys running and camping. While a Texan at heart, she has fallen in love with the beauty of Alaska and is thrilled to be a part of the yoga community.